The size of publicly available music data sets has grown significantly in recent years, which allows training better classification models. However, training on large data sets is time-intensive and cumbersome, and some training instances might be unrepresentative and thus hurt classification performance regardless of the used model. On the other hand, it is often beneficial to extend the original training data with augmentations, but only if they are carefully chosen. Therefore, identifying a “smart” selection of training instances should improve performance. In this paper, we introduce a novel, multi-objective framework for training set selection with the target to simultaneously minimise the number of training instances and the classification error. 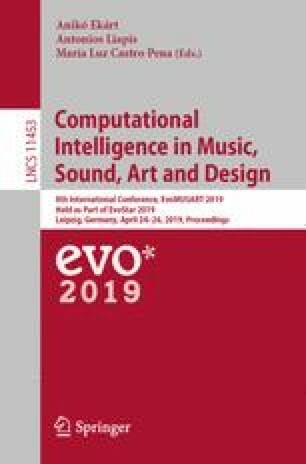 Experimentally, we apply our method to vocal activity detection on a multi-track database extended with various audio augmentations for accompaniment and vocals. Results show that our approach is very effective at reducing classification error on a separate validation set, and that the resulting training set selections either reduce classification error or require only a small fraction of training instances for comparable performance. This work was funded by the DFG (German Research Foundation, project 336599081) and by EPSRC grant EP/L01632X/1.